Khadi paper from India - NOT REQUIRED however it takes earth pigments like no other paper out there! found papers such as old envelopes, brown paper bags, etc. Mayan Blue and/or Prussian Blue are suggestions NOT REQUIRED. 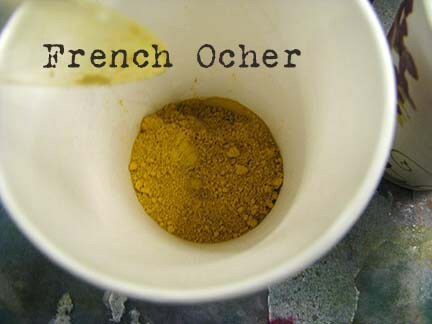 I purchase my earth pigments, ochre's, and clays, from www.naturalpigments.com (they are based in the US). *respirator or dust mask (a better quality one) such as an N95.